Best Free Antivirus Programs 2019 | What Features does Comodo Offer? 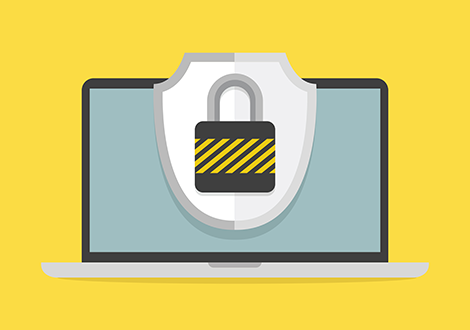 Choosing the right antivirus software can be a tough task. Especially considering the wide range of security attacks our PC(s) are being subjected to these days. Whether you should go for high-end products? What about free antivirus programs? Should you get the opinion of that geek buddy of yours? As you can realize, although getting an antivirus package for your PC may seem like an easy task, various factors involved can make you feel a bit overwhelmed. And believe it or not, there are many best free antivirus programs available in the IT security market, which offer solid protection against various types of malware. Now, allow us to ask you some questions which can help us evaluate your security needs and provide you the relevant answer. Are You A Security-Conscious PC User? If you are that security-conscious user who thinks twice before visiting websites and avoid those which are deemed as insecure by various browsers, then an antivirus package with basic features to safeguard your PC should be enough. You don't need to contemplate too much. But, on the other hand, if you're someone who uses the internet just as he or she pleases, then you have to give choosing the right antivirus some thought. You may need a heavy-duty antivirus software – obviously a paid one, no doubt - which can safeguard your PC against some serious security threats out there. Is Cost Going To Influence Your Decision? Money plays a huge role in our decisions. Therefore if you're too concerned about money, then it's best to go for free antivirus software packages. Like already mentioned, there are many best free antivirus programs available on the market. These are usually good when it comes to securing smartphones, tablets and other such devices. But when it comes to a laptop or PC, you have no other choice but to go for a paid antivirus solution. Because of the simple reason that PC(s) are the most preferred targets for hackers. What About The Trial Period? Another thing you should make note of. If the antivirus package you are checking out does not have a trial period, then it's better to avoid them totally. Because it's necessary that you should try it out first before buying it. Only if you try it out will you get to know the capabilities of the antivirus package. Almost all antivirus packages today have a trial period. So no worries. But still it's worth checking out the trial period – and its duration – before you settle down on a particular antivirus software. Comodo antivirus, which comes equipped with impressive security features, make it one of the best free antivirus programs available in the market. It's for security-conscious users, available for free, and there is no need for any trial period (since the whole package is available for free!). Default Deny Approach:making use of this technology (which is unique to Comodo), this antivirus package ensures all kinds of security threats are denied entry by default – until they are proven harmless. A pretty useful feature. Ability To Handle Zero-Day Malware: the majority of the security havoc is caused by unknown malware (or zero-day malware) which hasn't been previously detected and therefore is hard to predict. Comodo antivirus has default deny feature, which ensure zero-day malware is dealt with properly. This is what truly sets this antivirus apart from the others in the IT security industry.